Rothman president Alexander R. Vaccaro likes surgery because he can focus purely on the well-being of the patient. 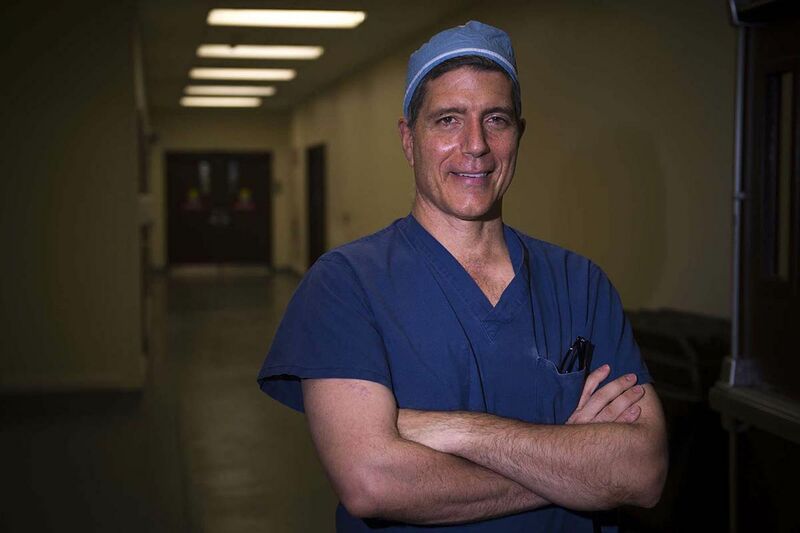 As a spinal surgeon and neurosurgery professor, Alexander R. Vaccaro, 55, president of the Rothman Institute and chairman of the department of orthopaedic surgery at Thomas Jefferson University, has enough diplomas to paper a wall. There's Boston College, Georgetown University School of Medicine, Cedars-Sinai Medical Center in Los Angeles, University of San Diego, and a residency at Jeff. Now Vaccaro can tack up another sheepskin - a master's in business administration from Temple University. "Medical schools teach us anatomy, they teach us surgery, they teach us biochemistry. We learn about illnesses," he said. "But they do not teach accounting, they do not teach us about finance. They do not teach us about operational management." In the past, the trends were new innovations and discoveries in methods of surgical orthopaedic care. Now it's changing to processes, supply chains, management. We used to get together to think about better implants. Now we are thinking about delivering care more efficiently with better outcomes - value rather than volume. As physicians with a business background, you can understand how to manage episodes of care, you can develop formalized treatment programs. You can navigate a patient to go to points of care that are less expensive. I think Jefferson University Hospital, which I am affiliated with, is one of the best in the world, but it is expensive. We have a big academic mission, which is expensive. So I think the more complicated cases should go to the university hospitals, and the less complicated cases should go to points of contact that are less expensive, community hospitals. Things we do after surgery are 45 percent of the cost. If I do a total knee replacement on you, do I have to send you to an inpatient rehab facility? Why can't you, if you are healthy enough, go home and have an outpatient physical therapist? All of a sudden, I can decrease the cost of care, from being 45 percent of the cost to 15 percent. Another trend is making patient satisfaction a number- one priority, bringing sort of a Ritz-Carlton experience. Do you still like surgery? Yes. When I go into an operating room, nothing else matters in life. When I am out of the operating room, everything matters, the next meeting, the next phone call. In the OR, you are allowed to forget about everything and to only care about the well-being of the one person that you are operating on. I am worried that the patient may bleed a lot. I am worried that I may injure a nerve because it's a complex procedure. If every step goes fluidly, that's the most satisfying moment. You put the last suture in, then you pick up the phone and call a family member and say, "I think the patient is going to do great." As a doctor, do you pray? I am a Eucharistic minister and I say 10 Hail Marys every morning. I pray when I wake up, "Please help me protect this patient and let there be no complications." You were chosen over two internal candidates to lead Rothman. Was it awkward? It was one of those weird things where we are all friends and we all have been at Rothman Institute for years. We immediately got together, and I said, "Listen, you guys had great ideas, let's put them together and get to work." [He rolled up his pants leg.] This is an arthritic knee. I am always in pain and I need a knee replacement and I'm not going to get it. Don't you get an employee discount? I am too young. They do not last that long. It will wear out in 15 years. So what. Get it again at 70. You don't want to do things twice, because it becomes more complicated if you do it a second time. And God forbid if you have an infection. Surely Rothman knows how to avoid infections. One of the most successful operations in orthopaedics is a knee joint replacement because the pain goes away when you wake up. But as a surgeon, I say to myself, I can't afford that 1 percent infection rate.